Superb care of the fetal and pediatric patient requires not only productive clinical interaction of disparate clinical disciplines, but successful collaboration of diverse biological and physical science groups in the research laboratory. The problems of our small patients are also the motivation for investigators in the basic sciences to assist in the understanding of disease mechanism and develop new therapies to cure, ameliorate, or prevent previously untreatable birth defects. An underlying premise of our research is the assumption that the current relatively primitive, albeit successful, surgical approaches to the correction of structural birth defects will be complemented and in many cases supplanted by molecular, cell, or organ transplantation in the near future. The focus of our research is in areas that promise to radically change the way we will diagnose and treat human fetuses, newborns, and children with birth defects over the next decade. Our research program builds on existing strengths already present with our lab and others at UCSF, develops links to private biotechnology firms, and emphasizes translation to innovative human therapies. The research conducted by our Principal Investigators spans basic science investigation to translational approaches to novel clinical therapies in the area of fetal and pediatric surgery. We have several basic science focuses. Dr. Tippi MacKenzie (View Bio | MacKenzie Lab) leads the effort in maternal-fetal immunity, stem cell biology, and targeted cellular therapy for fetuses that may benefit from prenatal cellular transplant. directs studies in lung biology, specifically investigating congenital anomalies of the lung and acceleration of lung growth in diseases that cause pulmonary hypoplasia. Other basic laboratory efforts are aimed toward improving outcomes for prenatally diagnosed congenital anomalies such as spina bifida, gastroschisis and urinary tract obstruction. Our translational research is largely focused on the accelerated development of novel techniques and tools for congenital and acquired diseases of fetuses, infants, and children. While many of the fetal interventions being applied around the world today were developed in our own Fetal Treatment and Pediatric Surgery Research Laboratory, we are constantly developing new tools and techniques in a variety of animal models. UCSF Pediatric Surgery is dedicated to innovation and the develeopment of new pediatric devices. A pediatric device can be anything from a band-aid to a surgical implant. Many devices are “scaled down” for children. Our mandate is to work towards developing devices that are created specifically for the benefit of children. Historically, pharmaceuticals as well as adult surgical and medical devices have far overshadowed the development and commercialization of pediatric devices. Granted, the pediatric markets are smaller, but the need is just as great. Pediatric devices should not, in general, be considered as scaled down approved devices for adults. Boosted by an FDA grant led by Dr. Michael Harrison (Harrison Lab | View Bio) that named UCSF one of three Pediatric Device Consortium centers, our group has leveraged the long-standing history of clinical innovation at UCSF and biotech innovations throughout the San Francisco Bay Area to become one of the world's leading groups for development of orphan devices for pediatric diseases. In addition, our use of other experimental technologies continues to push fetal intervention in new directions that go well beyond traditional surgical methods: microsurgical fetoscopy, three-dimensional image-guided sampling and manipulation using sonography and MRI, videoendoscopic techniques using virtual reality and robotic manipulation, placental vessel catheterization for stem cell transplantation and gene therapy, and microsurgical techniques for gene, cell, and organ transplantation. As the birthplace of fetal surgery, all major national clinical trials in fetal surgery have been led by our group. The world renowned Fetal Treatment Center, led by Dr. Hanmin Lee (View Bio), continues to be the world's leader in developing novel techniques in fetal surgery. Currently, we are one of two clinical sites for a randomized prospective trial funded by the FDA comparing prenatal and postnatal surgery for spina bifida. Other ongoing clinical research include investigations of novel treatment strategies for congenital diaphragmatic hernia, congenital cystic adenomatoid malformation, and pectus excavatum. The administrative machinery and structural support of the Fetal Treatment Center has been a critical element in uniting our basic science, translational, and clinical research efforts, resulting in quantifiable improvements in the outcomes and quality of life of our patients and their families. We also have a working group studiing fetal hydrops. 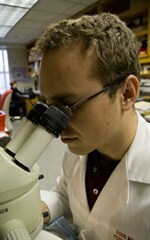 We have a collaboration between the five UCs researching treatment called the Fetal Constortium.